FROM TORONTO, THE ROGERS CUP, SATURDAY, AUGUST 11: Elina Svitolina is already pretty close to winning a major. But first, she has to really believe in herself. The Ukrainian has been darn good this season, she is already No. 5, winning Rome, Istanbul, Dubai and Taipei City. In Dubai, she took out Caroline Wozniacki in the final. Guess what? They will clash on Sunday, an extremely important event here at the Canadian Open. In this event, Svitolina has beaten two terrific players here, who had great Wimbledon results: Garbine Muguruza and Venus Williams. 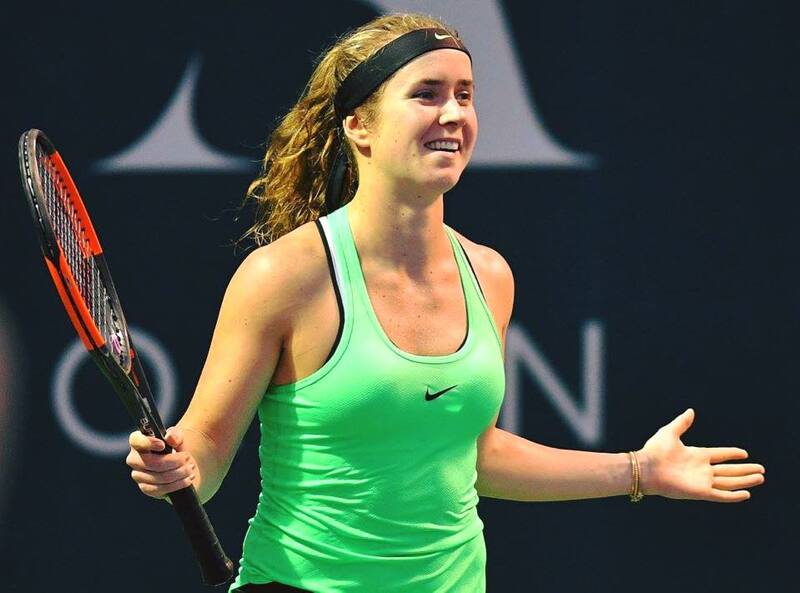 On Saturday, Svitolina crushed Simona Halep 6-1 6-1. She was strong, and Halep was exhausted. At Roland Garros, Svitolina thought she could go very deep and actually win it. She won the quarterfinal first set against Halep, thought she could nail it during the second set and move ahead, but she stopped, and Halep out-though her, winning 3-6 7-6(6) 6-0. She cried then. But, on Saturday, she locked in, showed her power and was ready to be patient. Svitolina is very rugged, has a fast but varied serve. She can mix it up and bash it. Last year, she was pretty decent, but the 22-year-old needed to change a couple things and become substantial better. Her forehand, her backhand and the lob are forceful. The same goes for Wozniacki, who has now reached six final tournaments this season. Without a doubt, she has been super consistent, but when she reaches the final, she gets nervous, and then she panics. Is she the favorite here on Sunday? It is hard to say. Svitolina beat her in February, but the 27-year-old Wozniacki has been on the WTA Tour for 10 years. That is a very long time. She knows all the other players, she knows exactly what she has to do, but in the finals, she becomes too conservative. This time, she cannot, or Svitolina can blast her and destroy her forehand. Caro is so quick, she knocks it back all the time. Her backhand is so consistent, especially crosscourt. His first serve is much better now, and occasionally, she puts away the volleys.